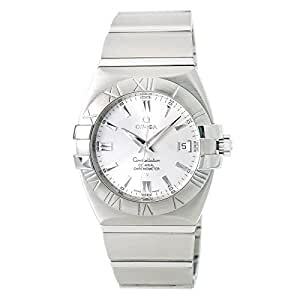 OMEGA CONSTELLATION DOUBLE EAGLE 15033000 MENS AUTOMATIC WATCH SILVER DIAL 40MM. Buy with confidence knowing each timepiece goes through the same rigorous 31-point inspection. Rest assured only authentic parts straight from the manufacturer are used. The Certified Pre-Owned Program on Amazon ensures peace of mind and transparency via standardized reports and a 1 Year Warranty Provided by WatchFacts.